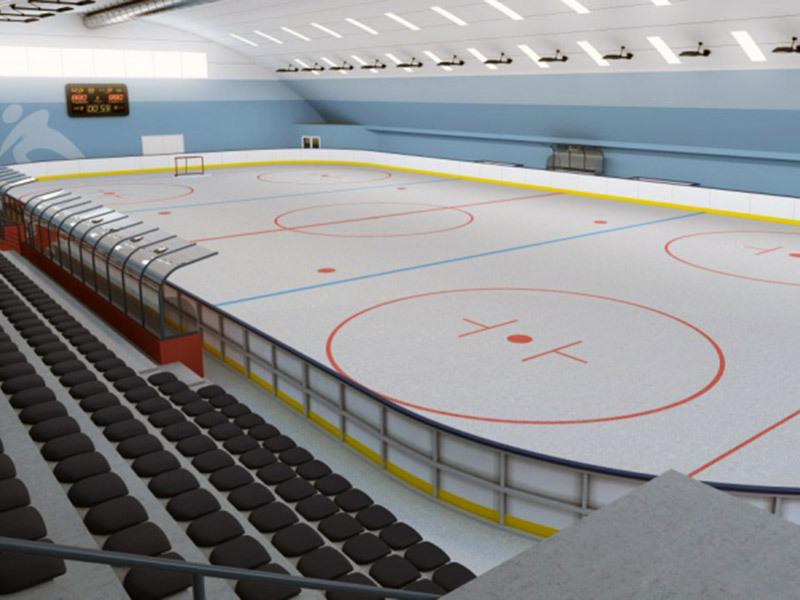 Sport places and sport buildings can highly benefit from our construction system. 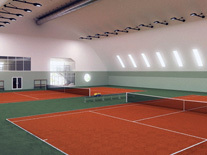 The supporting construction should not interfere into the playing area. 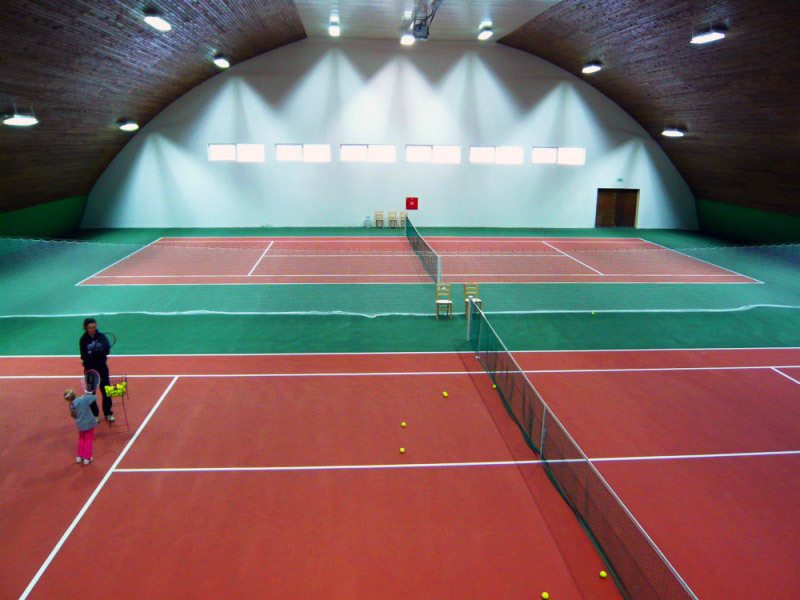 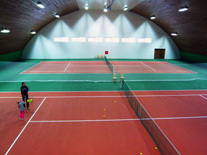 Parameters of a playing area vary depending on the sport type (gym, tennis buildings, badminton buildings, ...) which is the sport place for. 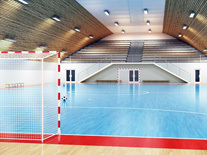 But in general, there is need to roof a space with the 20 m width at least everywhere. 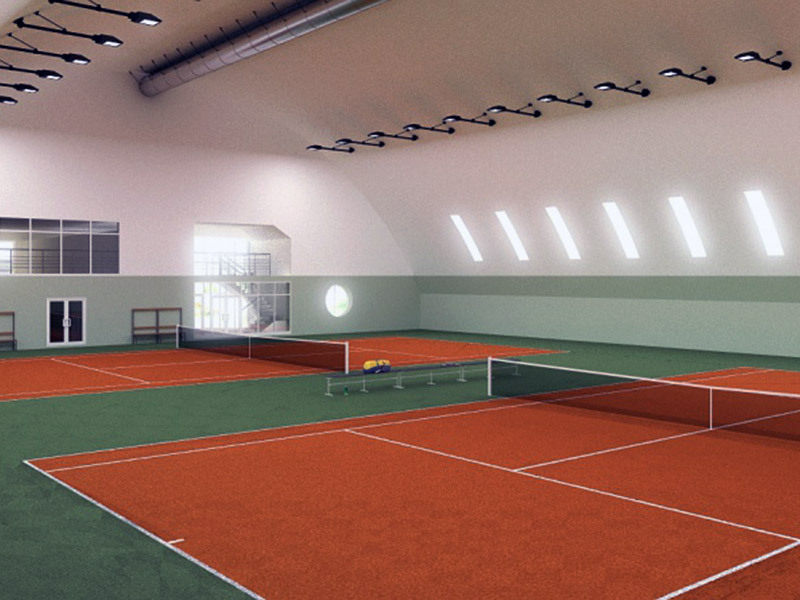 Our self-supporting construiction system enables to build an overlap up to 42 m width without any internal supporting construction. 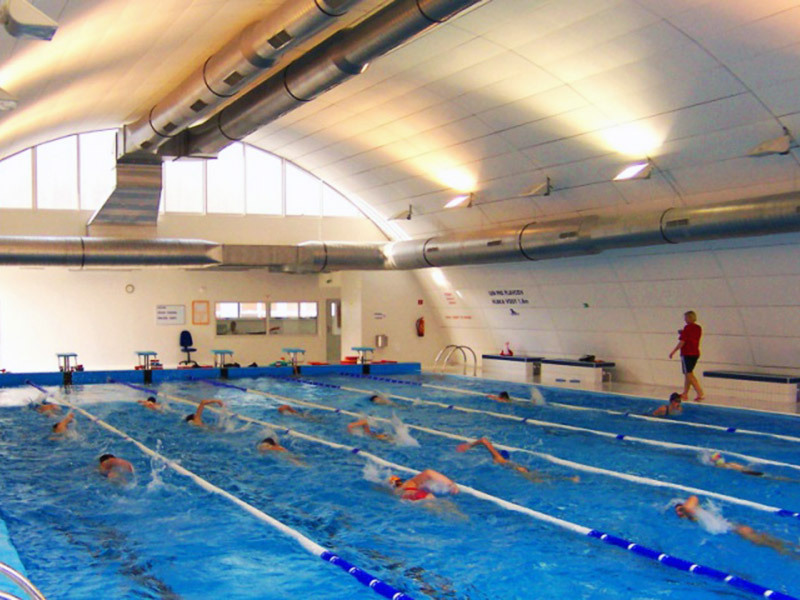 The whole assembly system complies with the requirement of economical efficiency. The construction system can be combined with other conventional construction systems. 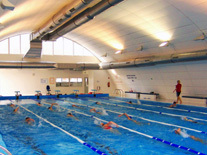 Internal disposition of the sport buildings is made by common buildings systems and processes. 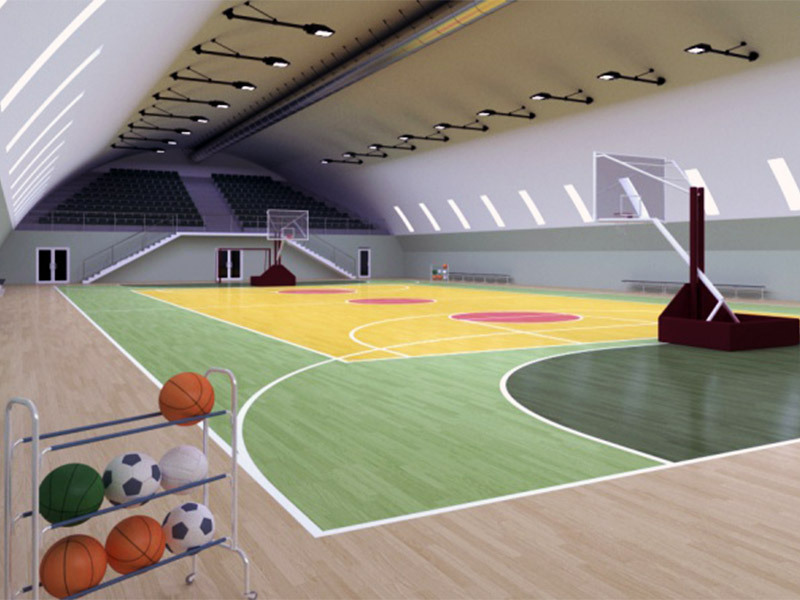 It is also possible to build original and interesting architectonic works that cannot be overlooked. 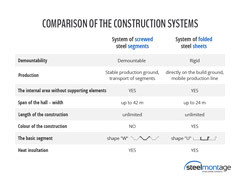 See a comparison of characteristics of our design screw-type system and the system of folded plates. 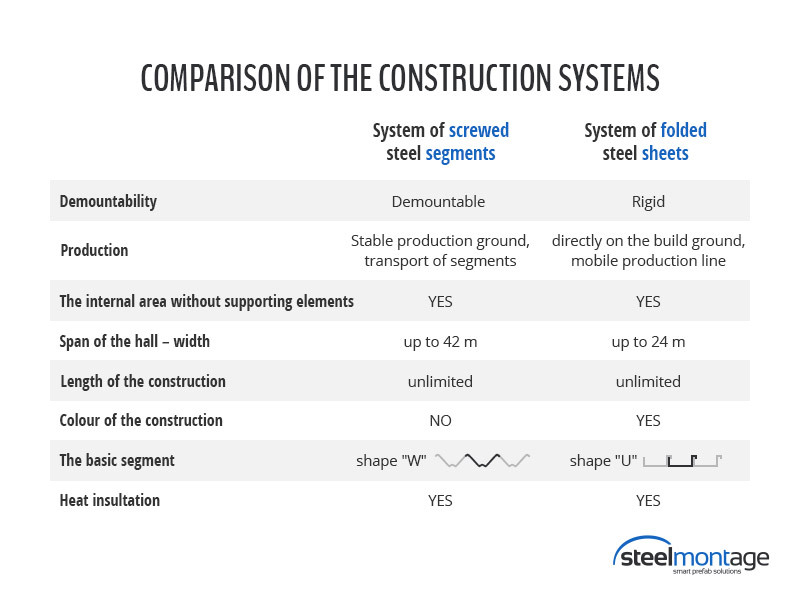 If you have any questions about the Steelmontage buildings don´t hesitate to contact us. 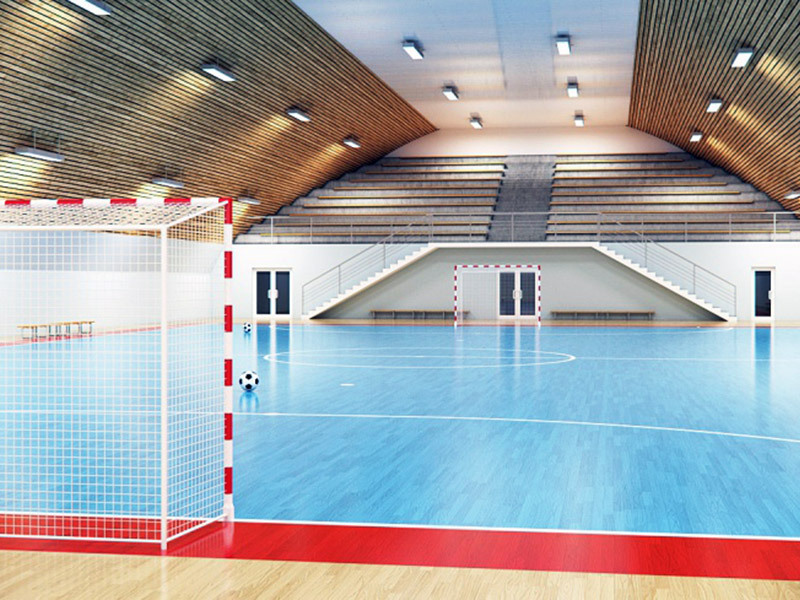 Steelmontage is a modern building company with a wide offer of prefabricated halls with use of modern construction system.